Now that The Washington Post and Associated Press quoted this long-defunct blog, I suppose it's time for me to bring it back to life. 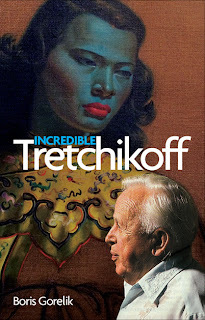 The most important piece of information I want to share today is some news about my forthcoming book, Incredible Tretchikoff. 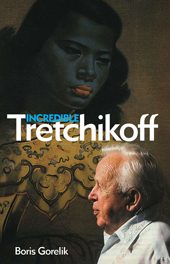 It's the first complete biography of the controversial artist. It took me three years, many thousands of dollars and a number of intercontinental journeys to finish. My book will be published in South Africa and Great Britain. Congratulations Boris. I will definitely give your book a plug on my blog. What would be the best way to buy a copy from Australia? Thanks, Kylie! 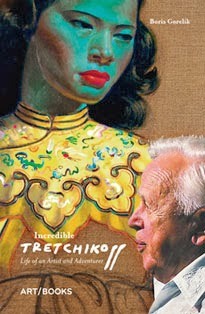 I suppose Art / Books will make it available in Australia. Even though it's a relatively young, up-and-coming publisher, they have excellent distribution channels. Now that I've started to mainatin my blog again, I'll post updates here.